Do you remember the troubled days at Kingfisher Airlines 6 years ago? Jet Airways recent crisis reminds you of Kingfisher, doesn't it? Vijay Mallya's Kingfisher stopped flying in 2012. The airline posted losses, struggled to pay salaries, and had a huge debt pile. This led to its complete closure. Now, compare that to Jet Airways. Is history repeating itself? Let's have a closer look at what's exactly going on with Jet Airways. It was once among India's top 3 airlines. First, its background. Jet Airways was founded by ticketing agent turned entrepreneur Naresh Goyal in the early 1990s after India ended its state monopoly on aviation. The ownership structure currently remains unclear. But as per reports, chairman Naresh Goyal has agreed to step down. His shareholding will fall below 20% from 51%. State Bank of India owns 24% and 12% is held by Etihad. The airline has been losing market share for several years to IndiGo, that is now the clear leader in the domestic market. Once a Frontrunner, What Went Wrong? First was the challenge from the entry of budget carriers. This led to dropping of fares by Jet Airways. Some tickets were sold even below the breakeven cost. Second, provincial taxes of as much as 30% on jet fuel were added to its expenses. Price-conscious Indian travelers refused to pay a premium for on-board meals and entertainment. On a consolidated level, the company has bled in nine of the last eleven fiscals. In other words, it has kept its bottomline in the black in only two out of the last eleven years. Third, aviation is a tough business. Despite rapid passenger growth, the cost structures and high competition make it very difficult for airlines to turn a decent profit. Lastly, the rise in oil prices was a death blow to their earnings. There is a sense of urgency to rescue Jet Airways given the looming general elections. With 23,000 jobs at stake, the failure of the bailout plan would send airfares spiraling. Jet Airways has been in a financial crisis since August 2018, when it began delaying salary payments to its employees. Jet Airways has been grappling with financial woes and is looking to rejig debt as well as raise funds. Last week, the airline's proposal to let lenders convert debt into equity was approved by over 97% shareholders. The bailout plan led by banks and approved by the board of Jet Airways on 21 February, proposed a restructuring plan, under RBI guidelines, to meet a funding gap of nearly Rs 85 billion. The gap is to be filled through a mix of equity infusion, debt restructuring, SLB (sale and lease back), and refinancing of aircraft, among others. This complicated arrangement, represents the rescue of one of the country's most visible companies at a sensitive time, with India's general election just weeks away. Jet Airways defaulted on loan repayments to its banks, casting fresh doubt over the future of India's largest international airline. The company said it had failed to make repayments to a banking consortium, led by State Bank of India, that were due on 31 December. It is evident from the chart below that the company is borrowing more to fund its operations. Thus, its liquidity situation is stressed. The networth of the company is negative since liabilities have exceeded assets. Its interest costs have been the highest in the December 2018 quarter. For now, a Rs 85-billion lifeboat is being readied, but will it end the crisis? Hardly. A more long-term solution will be needed. At the start of 2018, the stock price of Jet Airways hit a multi-year high. But as crude oil prices kept rising higher and the overall bull market lost its steam, the stock crashed as much as 80% by the start of October. The airline posted a loss of Rs 13 billion in the quarter ended September 2018, with liabilities rising further. "Those lucky to get into the stock when it was making its multi-year lows have certainly been rewarded with strong gains over the next few months. But this is where the problem is. The highs have come just as fast as the lows. There are hardly any 2-3 year stretches where the stock has given positive returns. Therefore, for a long-term investor, whose minimum time horizon is two years or more, investing in the counter has been a painful exercise." So, is it just Jet Airways causing trouble for the sector? Jet Airways' rivals are not faring much better. The entire aviation sector has been hit by fuel prices woes, depreciating rupee, and debt to fund aircraft purchases. Their troubles are further worsened by rising pilot shortages. State-run Air India Ltd is surviving on government bailouts worth billions of dollars. Spicejet and Go Air are also grappling with their own issues. Other Indian airlines are struggling too. This includes market leader Indigo, which recently joined the sorry parade reporting a 75% fall in its net profit last quarter. Hence, it is important to note that certain industries have poor economics compared to others. Investors would do well to keep this in mind, particularly in the case of aviation. Investors need to understand the industry dynamics before buying up aviation stocks. Now coming back to Jet Airways crisis, do you think this bailout package will be able to steer the Jet ship forward? Or will it go the Kingfisher way? 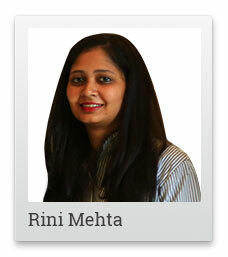 Rini Mehta is a keen follower of the stock markets and economy. At Equitymaster, she covers daily stock market moves and broader market trends across Indian and global markets. Equitymaster requests your view! Post a comment on "The Jet Airways Crisis in 6 Charts". Click here! 1 Responses to "The Jet Airways Crisis in 6 Charts"
Thanks for valuable insight in jet airway's plight of bad situation it is in. It will default & will drag lender's with itself..Indian Banks always trying to avoid crisis like situations by lending more rather taking tough measures required..Even Indians taxpayers don't bother if their hard earned money is utilized properly by government. I hope this time they will cease assets & passport of Naresh Goyal so that Mallya like situation will not occur for second time..there must be a strict law if anybody taking loan & not repaying his assets & his relatives assets will be ceased & scrutined for recovery purposes like BANK deal with middle class indians. The BSE Sensex is trading at its all - time high of 39,382(up 0.3 %).Among the top gainers in the BSE Sensex today are RELIANCE IND.. In the meantime, the NSE Nifty is trading at 11,821(up 0.3 %).